Sometimes, it's all the little small things that can make everything awesome and this is very true when it comes to android wear. This dialer called "Watch Phone" is one of those diamonds in the rough. It gives you the ability to add favorites, recent contacts, dial pad and view the contacts associated with your phone! Everything you need to have at your finger tip. This can become quite useful for people who make use of a Bluetooth earpiece. With some screen gesture, you select the contact or type the phone number you want and initiate a call and voilà, all this without taking the phone out of your pocket. 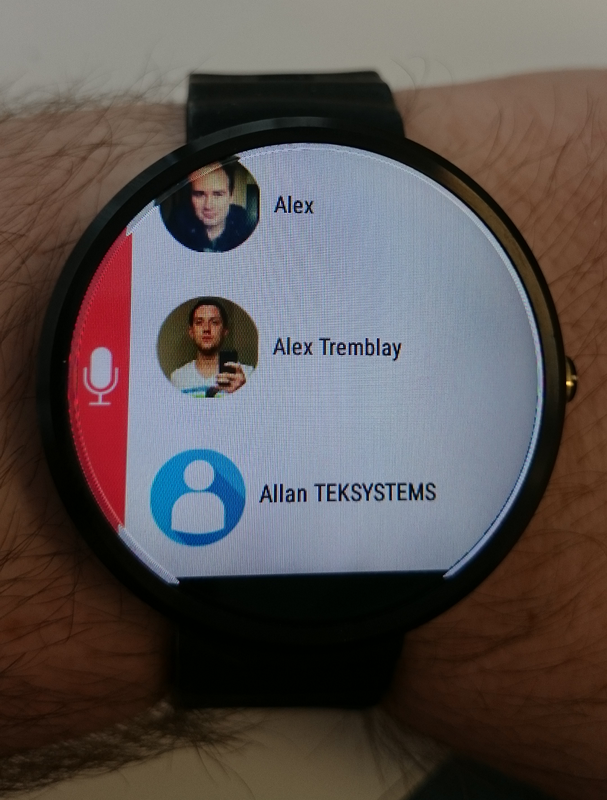 Here's what I'd like to see out of this app for android wear and I'm making the recommendation to the developer. I'd like to have the white background removed and have it faded with the actual watch face in the back ever so lightly. The same thing with the dial pad should be done and the gray borders. 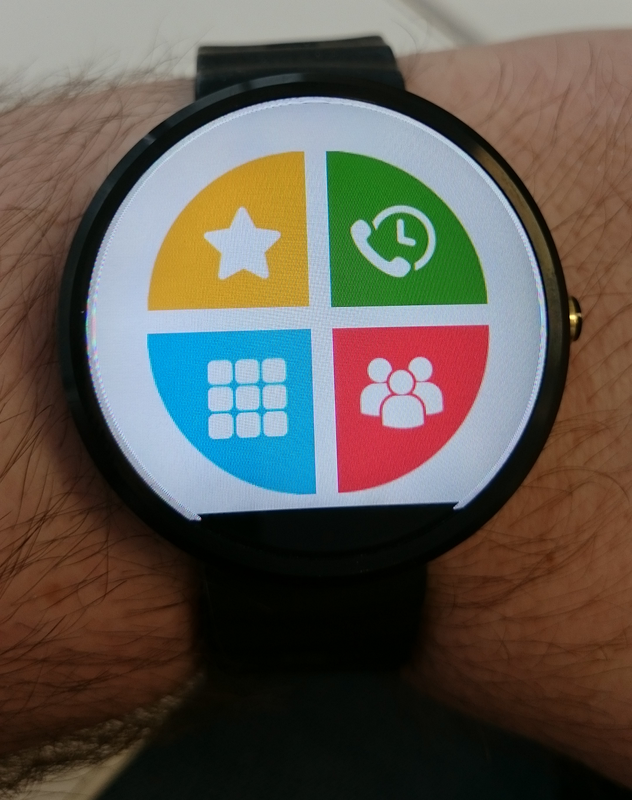 Having those fade to let some of the watch face peek through would look better. Those are my only recommendations. The rest of the interface is pretty slick. I'm sure this could also be applied to the contact screen, or at least something done a bit better. 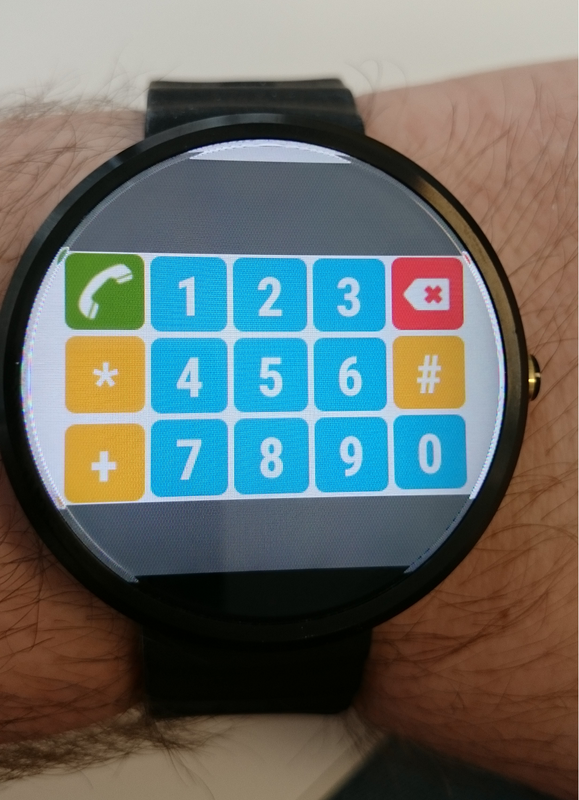 After being in contact with the developer, he will be introducing an alpha feature that will allow us to fade the background to be able to see the back of the watch face. We will have to stay tuned to see what is comes out of it.